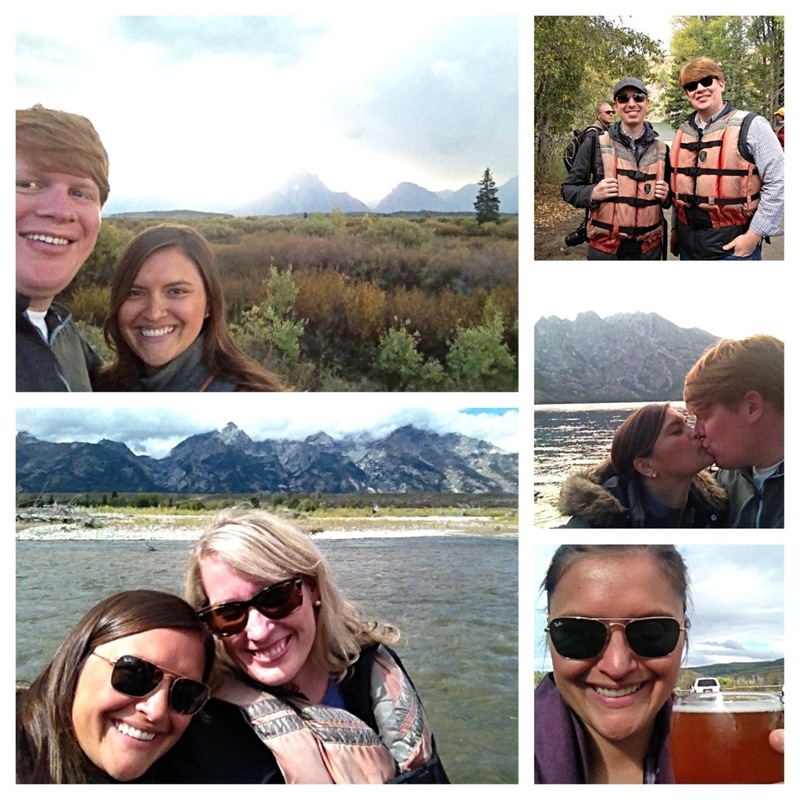 Nate and I have been looking forward to our Jackson Hole trip for months, and what a trip it was! Our friends Brad and Sandra surprised us the morning of, and came with us for the first half of the trip. Because it was their sixth time to the area, they were the best tour guides we could have asked for. We stayed in a great condo in Teton Village, right by the mountains. We flew in at night, and I’ll never forget how excited Nate and I were to see the landscape when we woke up our first morning–it was like Christmas! Teton Village, Jackson, and the parks are unreal: breathtaking mountains, wide open space as wide as the eye can see, animals everywhere (we saw buffalo, elk, bald eagles, bears, a moose, and lots more), and peace and quiet. 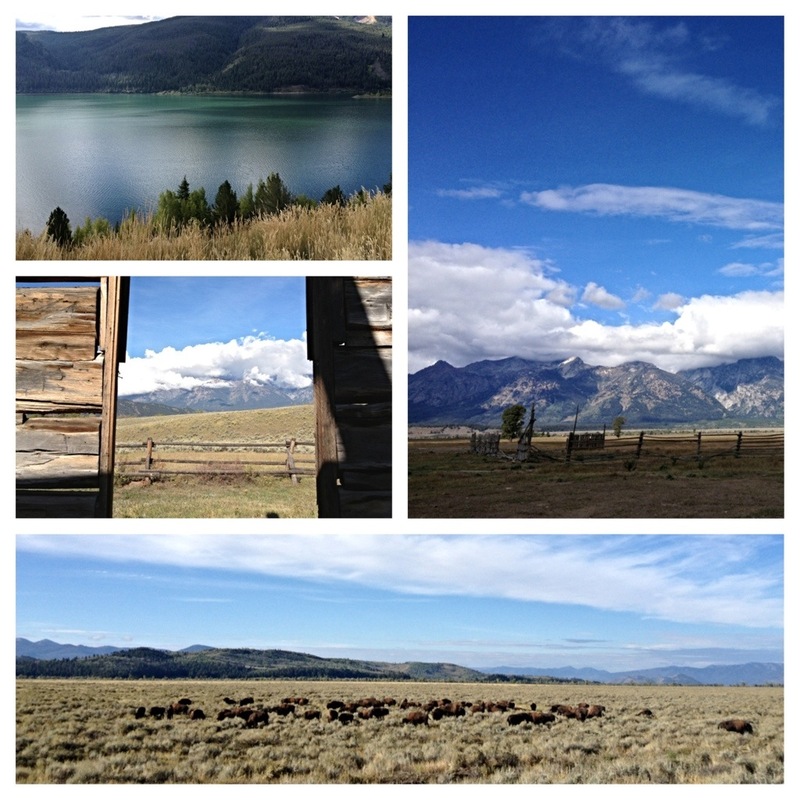 One of the best things about Jackson Hole is your proximity to the national parks! 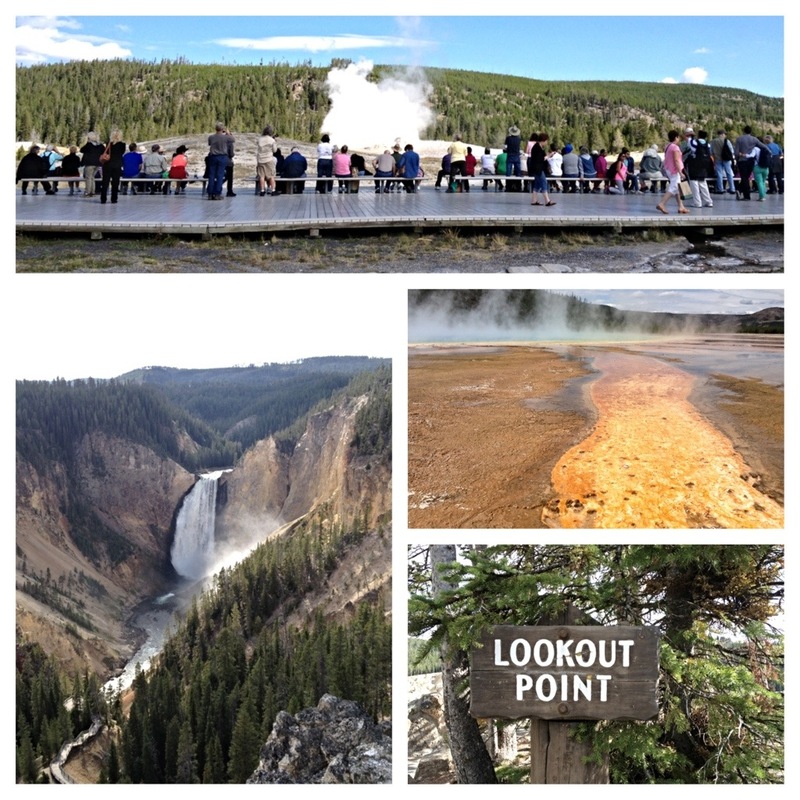 Make sure to spend at least a day exploring Yellowstone. We only had time to do the bottom loop (the park is in a figure eight), but we were glad to see Old Faithful and other crazy cool geysers, as well as sulphur pots and lots of buffalo (right next to the car!) and elk. I really enjoyed our time at the Grand Tetons though. Probably more. It was so close, and we saw so many animals and lots of beautiful scenery (Jenny Lake!). I highly recommend going to Jackson sometime in your life. I really enjoyed going in the fall, but the summer and winter are really popular too. Now, it’s time to plan our next adventure!